The Laparoscopic Adjustable Gastric Band (LAGB) is an adjustable solid silicone ring surgically placed around the top of the stomach to create an hour glass shape helping weight loss. As a person eats with a band, the narrowed area causes food above it to stretch the ping pong ball space allowing a person to feel fuller, faster, with less without the hunger. The opening through the band is about the size of a pencil when sized correctly. The “adjustments” in the office are customized to each person and are usually only a ten minute visit. The goal for the size of the opening is to eat solid food without too much difficulty. I have many patients who tell me “This is the first time I have not felt so hungry all the time.” With hunger more controlled it gives the help to be satisfied on less. I ask my patients to “Eat the smallest amount that it takes to not be hungry and stop there.” Liquids with food are avoided to not lower the effectiveness of the band. Careful eating will lessen difficulty with the narrowed area. People can eat most food but heavy meats and white bread or other “gummy” foods can problematic. 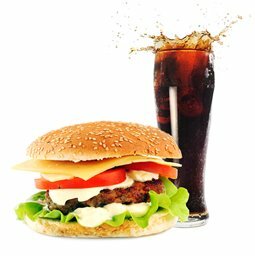 Liquid calories or high calorie dense food should be avoided to have maximal benefit. Adding exercise helps as well. The band is designed to be permanent but can be removed but then your on your own. Less than 2.5% of my patients have removed it which does require an operation. 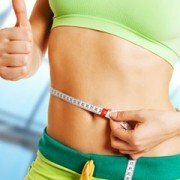 Overall most people are happy with the band and are significantly helped with their efforts for weight loss demonstrated by the fact that it is the most common weight loss surgery in the U.S. It is the safest, only adjustable, outpatient weight loss procedure available. Look for an experienced surgeon and program for better results. Weight loss specialist, Dr. Darrin F. Hansen offers an alternative approach for people struggling to lose those extra pounds. https://utahlapband.com/wp-content/uploads/2015/03/man_vertical-hansen.jpg 333 215 Utah Lap-Band http://utahlapband.com/wp-content/uploads/2018/03/Hansen-Logo_web.png Utah Lap-Band2015-03-15 16:17:212015-03-20 16:22:06What Is It Like to Have a Lap-Band? Chances are you know someone who is at an unhealthy weight, since over 60% of adult Utahns are either overweight or obese. Obesity can affect people of any gender, age, income, and racial/ethnic groups. The number of Utahns that are obese is at a record high. Over 1,156,000 Utah adults are overweight and over 461,000 are obese. More than half of Utah adults are overweight or obese (60.1%, Utah BRFSS 2008). Over one in three of those Utah adults at an unhealthy weight are obese (24.0% Utah BRFSS 2008). Utah is only doing slightly better than the US where 63.1% of adults are overweight or obese and 26.6% are obese (US BRFSS 2008). The percentage of obese adults in Utah has more than doubled (a 128% increase) since 1989. 52.4% of Utah women 52.4% are overweight or obese compared to 67% of men. In 2005, 35% of Utah women who delivered a baby were overweight or obese prior to becoming pregnant. This is a 21% increase since 1996. Obese adults were also more likely to have high cholesterol, asthma, and arthritis and their risk increased with each class of obesity. Rates of major depression were higher for obese adults as well. The report can be found at: http://health.utah.gov/opha/publications/hsu/10May_Obesity.pdf. 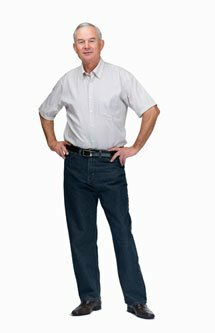 If you are significantly overweight and have not been able to loose it by any other means, HAVE YOU CONSIDERED LAP-BAND? Call Dr. Hansen today at 801-787-4379 to schedule a consultation. Is it Time for Your Weight Wake-Up Call? Julia Sonders remembers having a weight problem from the time she reached puberty. She tried everything to lose weight: nutrition counseling, a vigorous walking regimen, guidance from a personal trainer, and diets. Always the diets. Nothing worked. By the time Julia was 22 she carried 227 pounds on her 5’4” frame. That was the year she embarked on a year’s research into weight loss surgery that led her to Dr. Darrin Hansen. SHEDDING EXCESS POUNDS DOES MORE THAN BOOST YOUR MORALE. IT REDUCES HEALTH RISKS ASSOCIATED WITH DIABETES, HIGH BLOOD PRESSURE, ACID REFLUX, SLEEP APNEA, AND HEART DISEASE. “Helping people overcome these challenges is what prompted me to open my own practice, with expanded value and services, in a convenient location for my community,” says bariatric and general surgeon Dr. Darrin Hansen. He is a Center of Excellence Bariatric Surgeon and has helped more than 800 patients lose health-threatening excess weight with laparoscopic gastric banding. “We offer all the tools patients need to succeed: pre-operative seminars and counseling by a bariatric coordinator who is herself a LAP-BAND success story, dietitian services, a mental health counselor, and guidance in selecting exercises and activities to support healthy, sustained weight loss,” describes Dr. Hansen. https://utahlapband.com/wp-content/uploads/2015/03/green_abs.jpg 332 240 Utah Lap-Band http://utahlapband.com/wp-content/uploads/2018/03/Hansen-Logo_web.png Utah Lap-Band2015-02-11 20:19:422015-03-11 20:24:47Is it Time for Your Weight Wake-Up Call? The obesity epidemic in America is a Tsunami of expense coming toward the shores of American healthcare. We are already seeing significant increased costs related to excess weight. The longer the wait the more it will cost. Carrying excessive weight increases the risk of multiple disease conditions. The risk of developing diabetes rises to nearly 25% over a ten year period of time in men with a Body Mass Index (BMI) over 35. Degenerative joint disease- (wearing out the surfaces between moving bones) dramatically increases. Its like riding down the freeway with the brakes on. You can do it for a time but eventually the wear will catch up to you and the difficulty or primarily pain begins. difficulty sleeping at night because of sleep apnea can cause day time drowsiness, fatigue, and the lack of energy can zap your day. 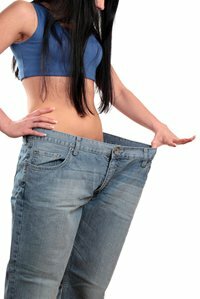 Weight loss surgery is not the first approach for weight loss but it is a proven effective method for weight loss for those with weight related health issues who are at least 30-50 lbs over their ideal body weight where other methods have not been effective. The safest weight loss surgical option is a Laparoscopic Adjustable Gastric Band. The Lap-band has been placed in hundreds of thousands of patients world wide with a proven tract record. With more than ten years of experience with Lap-Bands and nearly a thousand patients, we specialize in Lap-Band Success! If you or someone you know could use this remarkable advancement help is only a call or click away. It’s the weight. The population is getting larger according to recent surveys. There is clearly a strong link with being overweight and several health problems such as hypertension, sleep apnea and diabetes. 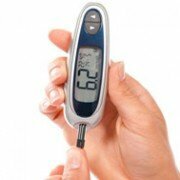 We have known for several years that losing weight can cause diabetes to go into remission. It is hard to lose weight for most people and the more pounds the harder it is. For those who have tried but have been unable to lose or keep the weight off there is additional help. 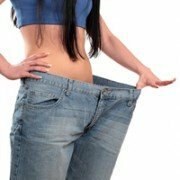 Weight loss surgery is a significant step but of all that are available LAP-BAND has been gaining popularity because it is the safest surgical option available. In 2008 an Australian study showed, “after two years, diabetes went into remission in 22 of 30 surgery patients with a BMI between 30-40 and just four of 30 diet-and-exercise patients. Those who had surgery lost an average of 20.7 percent of their body weight, while the dieting group lost only 1.7 percent of their body weight. “You can see the stunning differences between the two groups,” said study author John Dixon, an obesity researcher at Monash University in Melbourne, Australia reported in U.S. News. In February of this year, the Federal Drug Administration who oversees implantable devices in the U.S., lowered the indication for using the LAP-BAND to individuals 30-50 lbs. in the excess (BMI over 30) who have weight-related health issues such as diabetes. “I have seen diabetic remission here in our own LAP-BAND patients. Time is not on your side for this possibility.” The longer a patient has diabetes the more difficult it is to resolve and it does require a substantial amount of weight loss. Consider weight loss as a high priority for a longer, happier healthy life. Do something that will improve your health and life. Excess weight can cause many medical problems, including, but not limited to the following. These conditions can improve or resolve with weight loss. If weight loss has not been maintained by non surgical options consider looking in to a Lap-Band procedure. If you or someone you know could use this remarkable advancement help is only a call or click away. 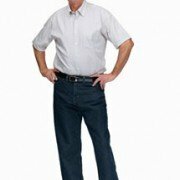 Please visit utahlapband.com for more information. Many people will define a miracle as a positive event that was not expected to happen unexplainable with presumption if divine providence. Much of technology, Medicine, Transportation, and Communication we use today would be considered a miracle not too long ago. A tool can be a gift or even a miracle for some who do not have a access to it. Even though we know so much more about many conditions of the human body many treatments seem to be a miracle even though we know how they work. For some, one of those little miracles is the Lap Band. It has helped thousands improve their health through significant weight loss. High blood pressure, heartburn, joint pain, sleep apnea, even the treatment of diabetes can go away, not just simply be controlled. Exactly how it works is not completely known but, it acts to lessen hunger. It creates a narrowed area at the top of the stomach so smaller volumes of food will satisfy an individual during a meal, less calories are consumed and weight loss follows. It is a tool to literally funnel eating to a more manageable controlled event. there are no guarantees but, many have seen tremendous results that have changed their lives for the better in ways that were not thought possible. To some this is a miracle. Where are you going? If you know, then what is keeping you from getting there and are you headed in the right direction? We all have limitations in life, some we can control and others we are required to accept and do the best we can. If excess weight and the many health problems it can bring are baggage on your journey through life that you wish could be left behind, now is the time to make a change for the better. A vehicle can allow you to get where you may not be able go on your own. Most people will choose a safe effective option. LAP-BAND weight loss surgery is the safest weight loss surgery available. It is reversible, adjustable, and an outpatient procedure that can change your life. It can help you get to where you want to be or allow you opportunities that may not otherwise be available without it. Recently, the FDA lowered the indication of using the Allergan LAP-BAND for those with a BMI of 30 (30-50 lbs over normal weight) and above who have conditions such as diabetes, hypertension, sleep apnea etc. These conditions have a significant chance of improving or resolving with weight loss and the LAP-BAND can help. If you have ever wondered whether weight loss surgery was for you, We can help. Get to where you want to go with a LAP-BAND. Call Dr. Hansen today at 801-787-4379 for a consultation. Are You Where You Want to Be This Year? 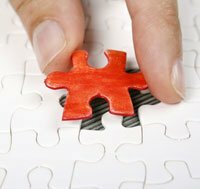 Each new year we should ask ourselves “Am I where I want to be in my life?” If there are areas we need to improve then the beginning of each calendar year is good time to renew. 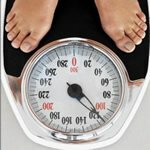 If weight is a significant issue especially if there are weight related medical conditions that affect you such as diabetes, high blood pressure, sleep apnea, heartburn symptoms, painful joint or any of the many others and other weight lose attempts have not be successful at keep the weight off. If you have ever wondered if it is right for you, there are free seminars and webinars to find out more information.